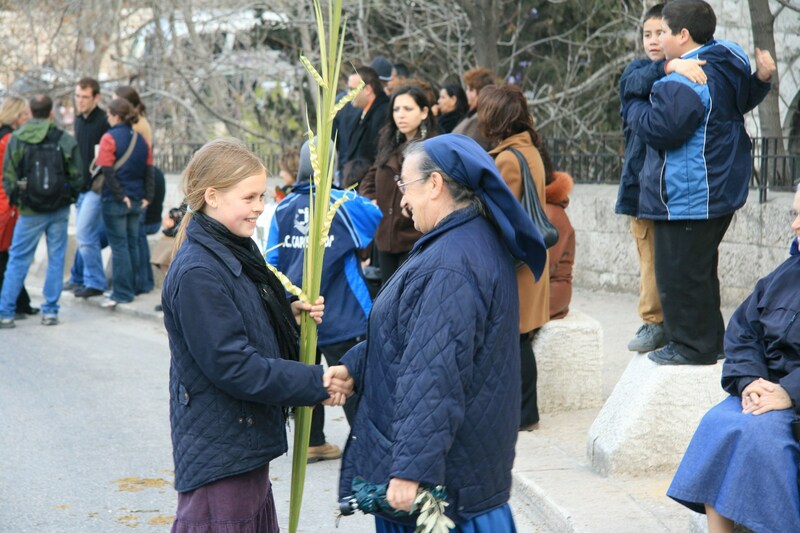 As Easter approaches I thought I would share a few related blog posts that contain some images that some of you might find useful for Easter presentations. 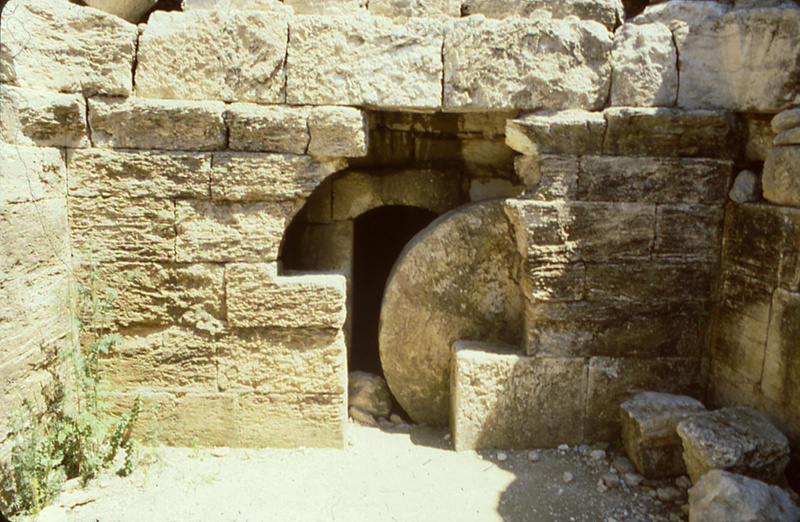 View looking east at the entrance to the tomb. The rolling stone was 6 ft. [1.8 m.] in diameter and 1.3 ft [0.4 m.] thick. It was placed between two walls, each built of hewn stone. When discovered, it still rolled in its trough! 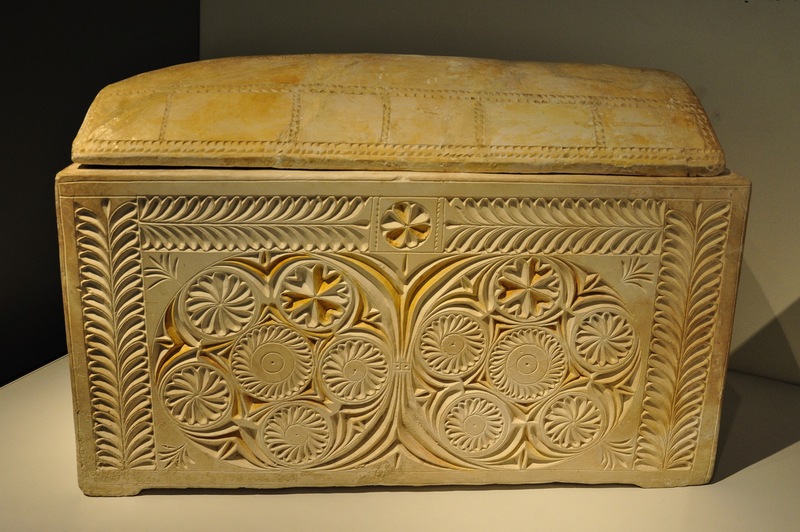 The tomb itself was in use during the Roman Period — up until A.D. 135. 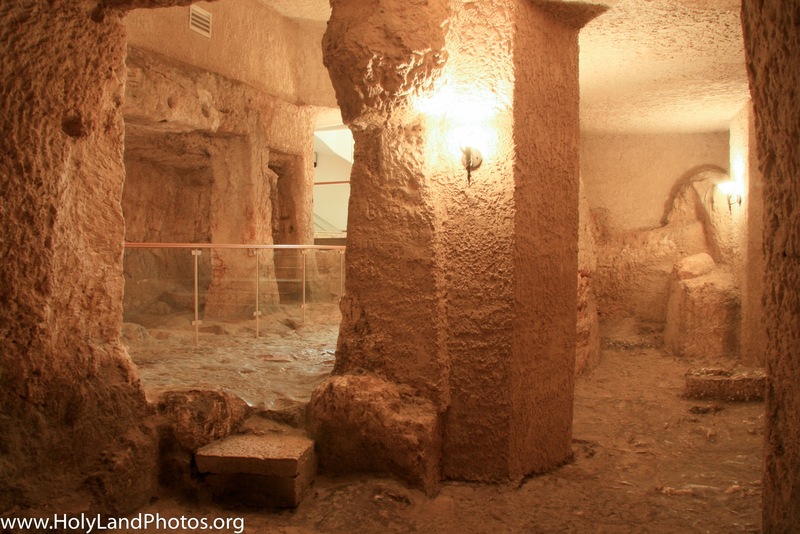 In my estimation, it was the best example of a rolling stone tomb in the country of Israel. 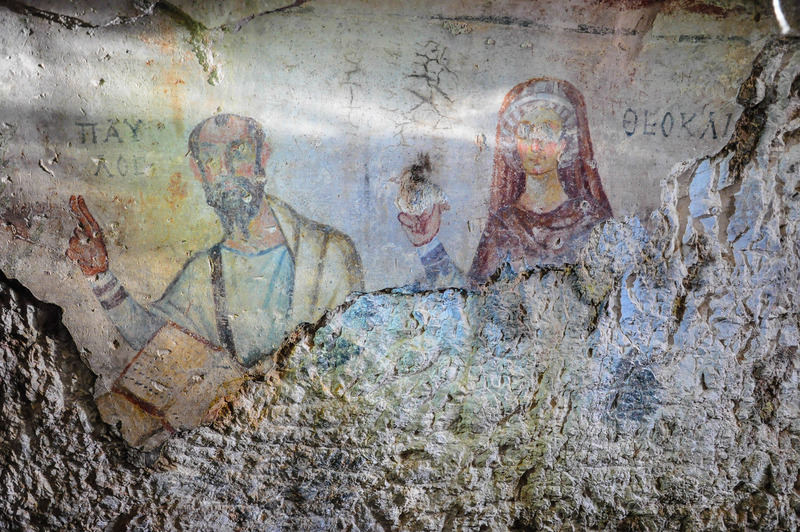 It seems to illustrate well passages from the Gospels which speak of Jesus’ tomb as being closed by a rolling stone. See especially Matthew 27:57-66; 28:1-2; Mark 15:42–47; 16:1–8; Luke 24:1–2, 10–11; and John 20:1, 11–18. 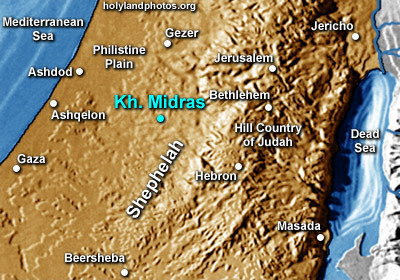 Horvat Midras (Hebrew) or Khirbet Durusiya (Arabic) is located 19 mi. [30 km.] 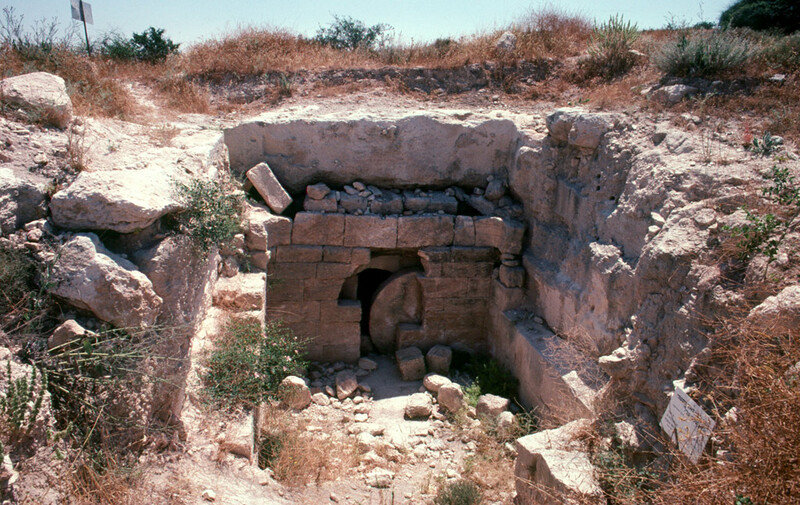 southwest of Jerusalem in the Shephelah. The ancient remains are spread over hundreds of dunams in the area. 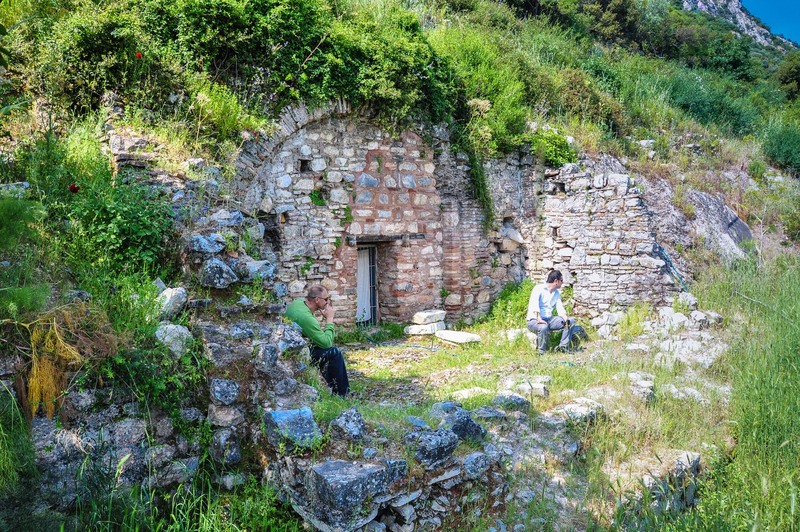 The site dates to the Hellenistic and Roman periods. 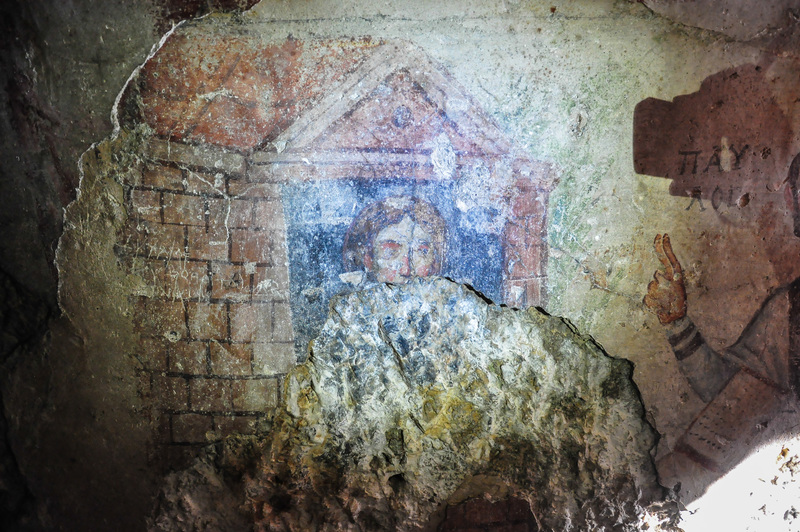 In 1976 part of the cemetery was excavated. Several tombs were uncovered, including, in my estimation, THE BEST ROLLING STONE TOMB in the country. 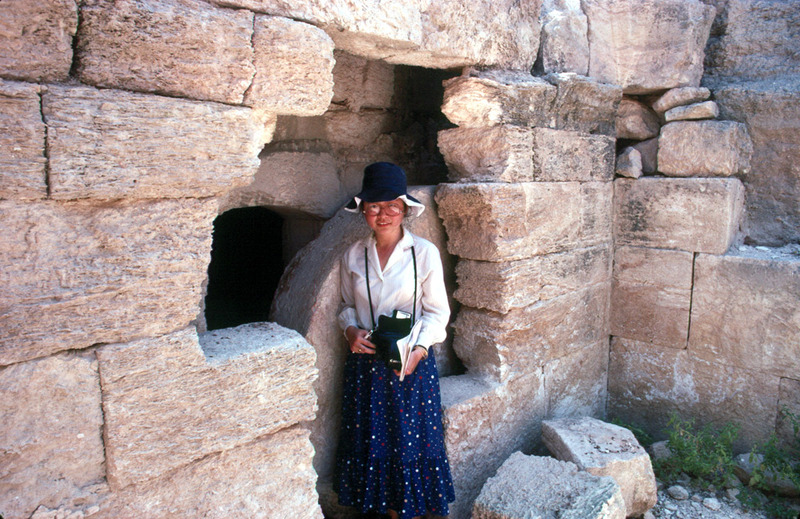 Unfortunately in the late 1990’s the tomb site was totally destroyed by vandals!#%$@!! BUT it has been reconstructed and is now visible in the Adullam Park! To view 3 additional image of the tomb Click Here. 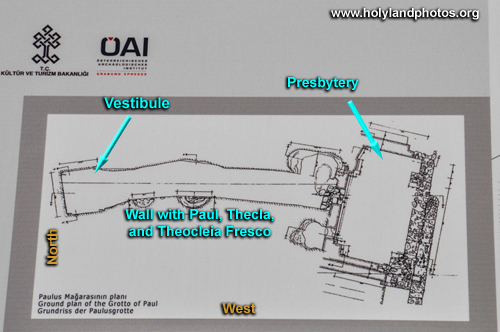 For images of the Church of the Holy Sepulcher see: Calvary and Tomb. 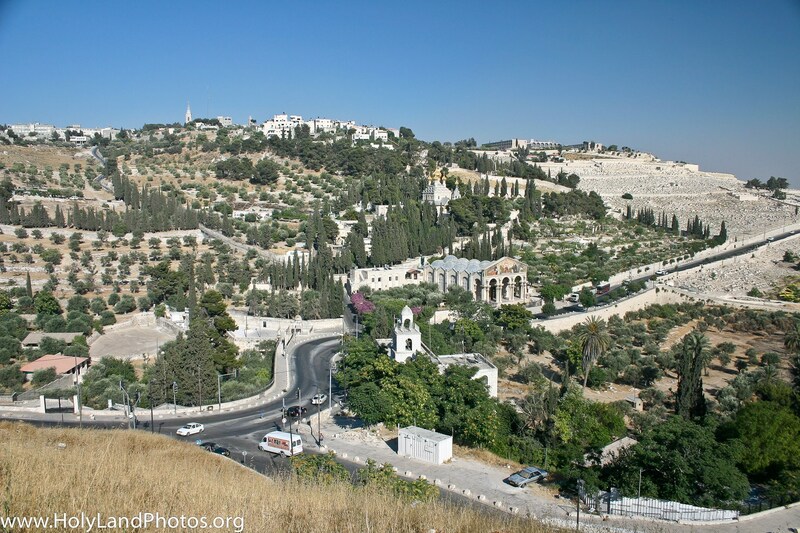 Click to see images of Gordon’s Calvary and the Garden Tomb. 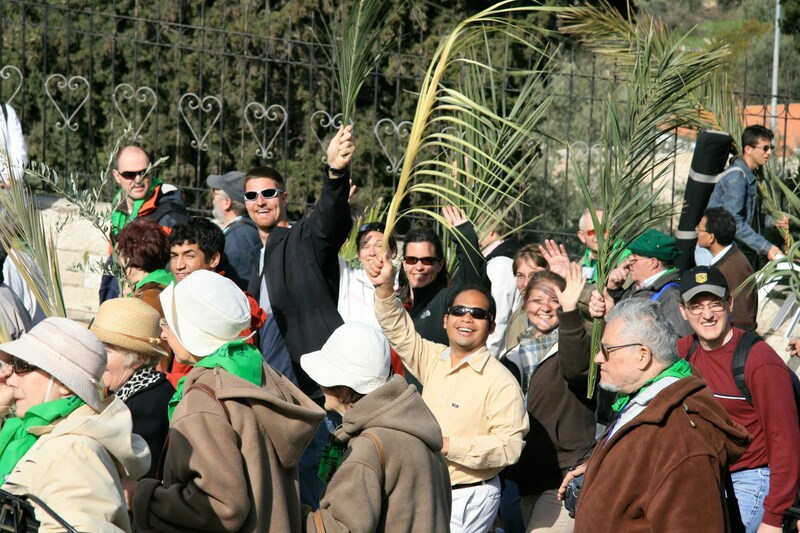 For Christians: the Beginning of an Advent, Palm Sunday, Good Friday and Resurrection Day series. 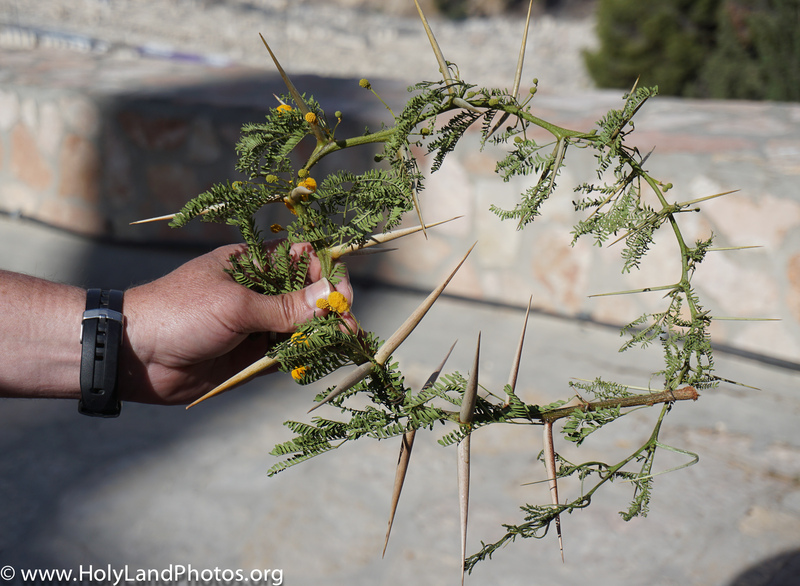 A “Crown of Thorns” made from a branch of a tree just outside of Dominus Flevit on the Mount of Olives. Click on image to Enlarge and/or Download. View looking west over the Old City of Jerusalem from within Dominus Flevit. 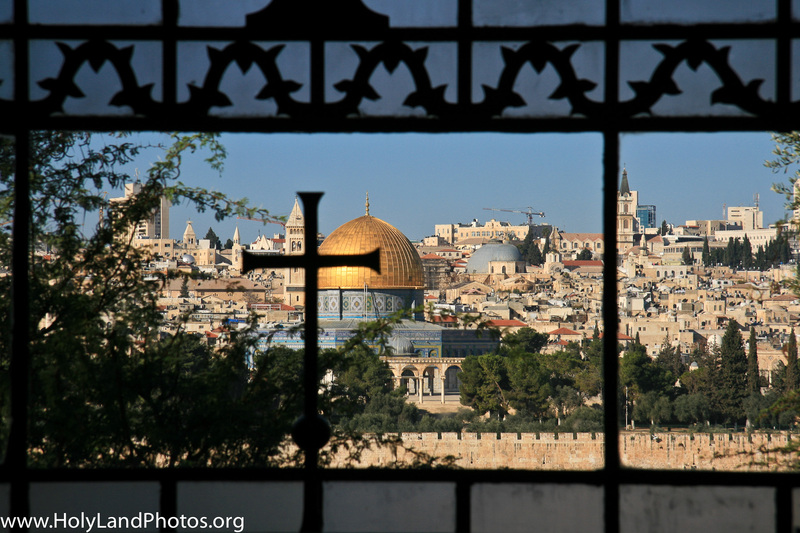 The “golden” Dome of the Rock is visible beyond the cross, and to the right of the Dome the grey Domes of the Church of the Holy Sepulcher are visible. Click on Image to Enlarge and/or Download. 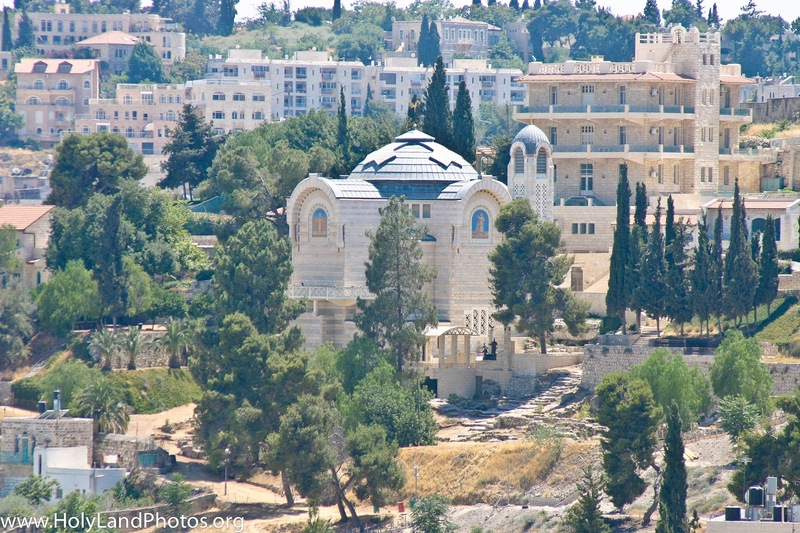 You can view/download 10 images of Dominus Flevit Here. 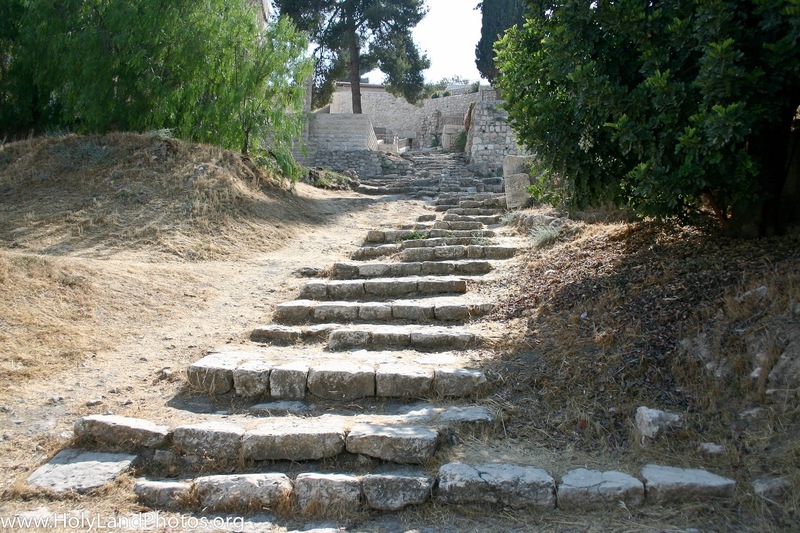 Gallio was the proconsul of Achaia while Paul was in Corinth (Acts 18:12). View of the “Gallio Inscription” found at Delphi. 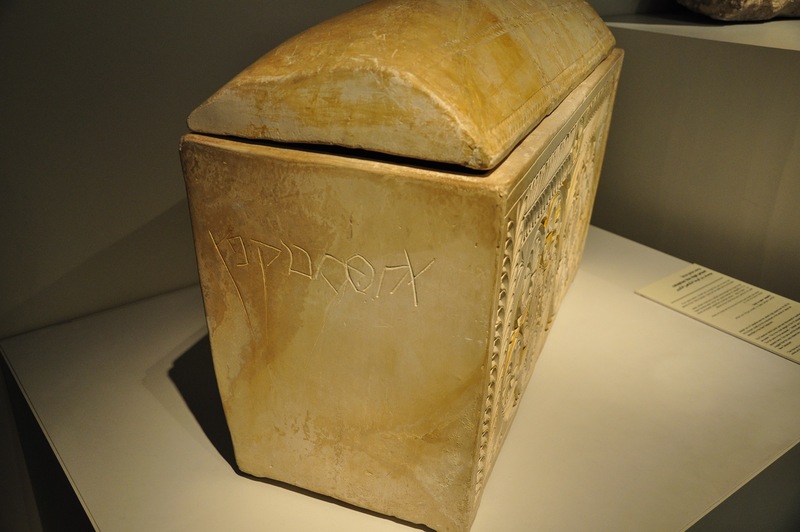 In the fourth line from the top, the Greek form of “Gallio” is clearly visible. Click on Image to Enlarge and/or Download. 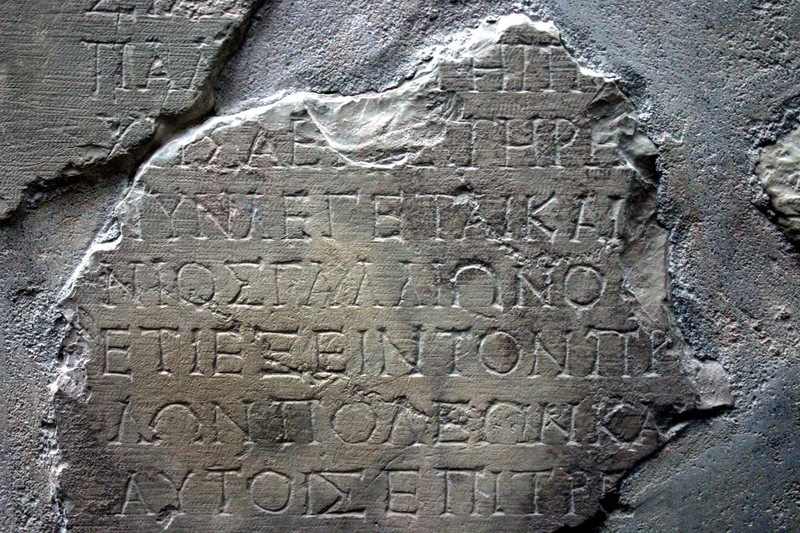 The inscription is written in Greek and is a copy, carved in stone, of a decree of the Roman Emperor Claudius (A.D. 41–54) who commanded L. Iunius Gallio, the governor, to assist in settling additional elite persons in Delphi—in an effort to revitalize it. 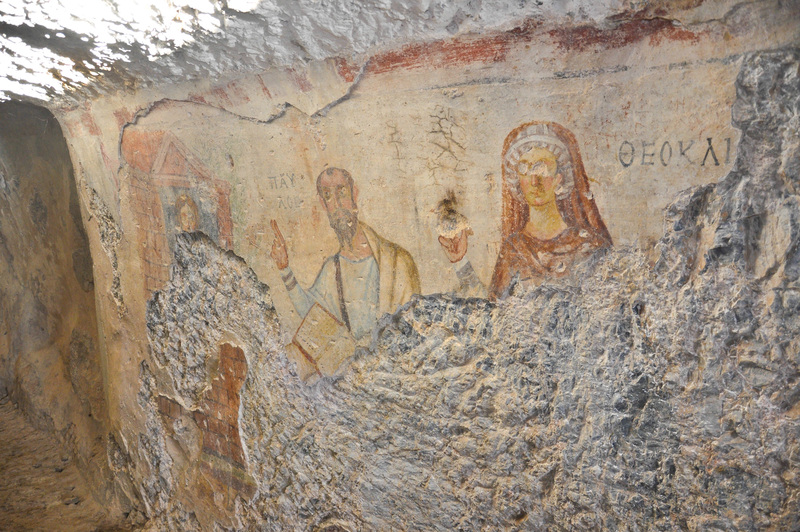 To view the “bema” in Corinth, before which Paul appeared in the presence of Gallio, Click Here.